I absolutely love this app! Though, I’m not a fan of the coin thing, I would still recommend this app to people who don’t mind it. For those of you who don’t know what coins are..For each chapter I believe you have to use coins. Coins do not cost real life money. For example, every 5 minutes you get 5 coins and each day you get coins. To read a chapter ( when I say chapter I mean like an episode of a show) you have to use 20 coins which I don’t think is very smart. Dear creators I sincerely love this app but I think you’ll get more love and better ratings if you just take away the coin feature. So not only us readers will be happy but you will too (ratings) I would’ve given this app a 5/5 if the coin feature wasn’t there. Overall, I enjoy using this app, but the coin feature. If you don’t mind waiting to read for more coins, I suggest this app for you! REMEMBER COINS DO NOT COST REAL LIFE MONEY!!! In conclusion, I think this app would be EVEN BETTER if the coin feature wasn’t there. I hope you consider removing the coin feature for us readers to enjoy reading and not having to wait and to have better ratings which will cause more people to join Webcomics! 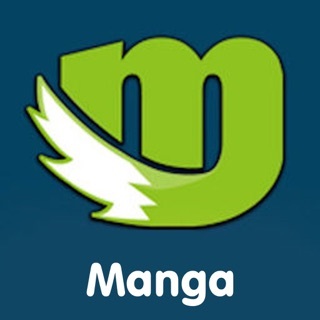 Comparing this to Webtoons I enjoy Webtoons more because of the coin feature. Thanks for reading and please respond! I originally wanted to give this app five stars because not only was it free, it was also reasonable and reliable. I could count on my next chapter being there when it’s supposed to be updated. Hell, I could read what I wanted for free and all I had to do was wait for the next chapter, or let them build up so I could binge read. But that was before all of the updates for the app. Now update dates for the chapters in the app keep changing, I’m paying for unreliable authors and authors who call their 5 panels an up-spree. Did your standards change with every update? And the coin and gem system is so botched! Why don’t half of them work? (Despite all the bad feedback I read, I made an account so I could get freaking coins!) Why are they so few coins to be offered? What about readers like me who wait until the chapters build up? Those little coins won’t mean a thing then. Sure, I understand that the authors want to get paid for their content. And there are some that really desert it because you see the effort they put into it, but why am I paying for someone who barely uploaded any content? I suggest having a section of books that are free and a section for books that you have to pay for. I truly loved this app until they started the coin thing. I usually like to let the chapters build up so i could read a bunch at once but with this coin thing i can’t read my favorite stories. Although it’s possible to get free coins i can’t seem to get enough to read all of the stories that i love to read and it really upsets me because i love reading these stories it’s like an escape for me and the ones that i started off reading i can no longer read because there isn’t enough coins because when i click to read it make me pay to read an episode that i hade already read thus making me run out of coins quicker. All of the books in my library are pay to read. That is why this app is no longer great to me now it is just good. I wish the could go back to where ALL the comics were free to read and the coins were just for gift exchanges.